WASHINGTON – After months of searching for an affordable place to stay, Phoenix resident John Stencel was “close to giving up” on his plan of coming here to protest President-elect Donald Trump’s inauguration. But Stencel is coming after finding a deal through Airbnb for just $36 a night – a relative steal in Washington, where hundreds of thousands are expected this weekend for inaugural events and counter-activities. “I just had to broaden my search horizon and that one just kind of popped up,” Stencel said. Most travelers shouldn’t expect the same luck as Stencel. Kate Spire, an agent for Ace Advice Travel in the Valley, said last week that a simple flight-and-lodging package from Arizona to Washington for the weekend at just a one-star hotel cost around $1,000 per person. She called it the result of high interest and very limited availability. “Sometimes they don’t list any rooms available so you have to call them and then they can jack up the price to anything they want,” Spire said of hotels in popular spots. City officials say the every-four-years inauguration is one of the biggest events in the District, which will spend about $30 million on services for the hundreds of thousands expected to flood the region. 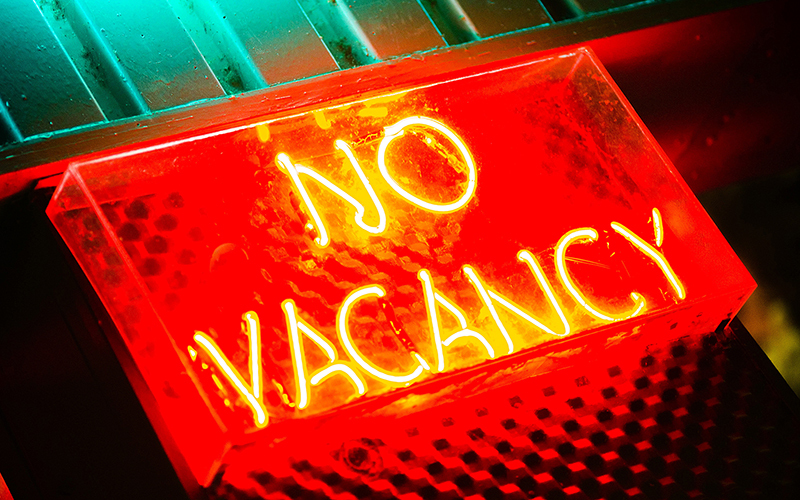 A search of hotels.com Tuesday showed just 39 percent of hotels near the District listing availabilities for this weekend, with the numbers much lower in the city. Advertised rates in the city began at hundreds of dollars a night. Nate Terani, a Muslim-American vet from Tucson, started a GoFundMe account to help fund travel for women veterans coming to Washington for the post-inaugural Women’s March. The account, Send Women Vets to #WomensMarch, had raised more than $8,200 of its $10,000 goal this week, but Terani is finding that even that amount won’t go far. “They’re gouging prices, the hotels are actually gouging prices,” Terani said. Calls seeking comment from area hotel and tourism agencies were not returned. Faced with high hotel rates, travelers like Terani are looking to other options, reaching out to friends, family and fellow protesters for a place to stay. Several District residents have offered free lodging to Terani’s group of veterans. “The primary source of lodging that we are trying to utilize is the folks in the area who’ve reached out to us,” he said. Jim Driscoll is one of those folks. The Marine Corps veteran of the Vietnam War and his wife, Sansa, are housing four members of Terani’s group. Driscoll, who said he worked with Terani on an event to fight Islamophobia, said his outrage over Trump’s campaign rhetoric made him more willing to offer a hand to protesters this weekend. Another option is to look for lodging outside the city, which is how Stencel wound up with a room in the Maryland suburbs instead of his usual hostel not too far from the Capitol. But looking outside the city presents visitors with another problem – transportation. 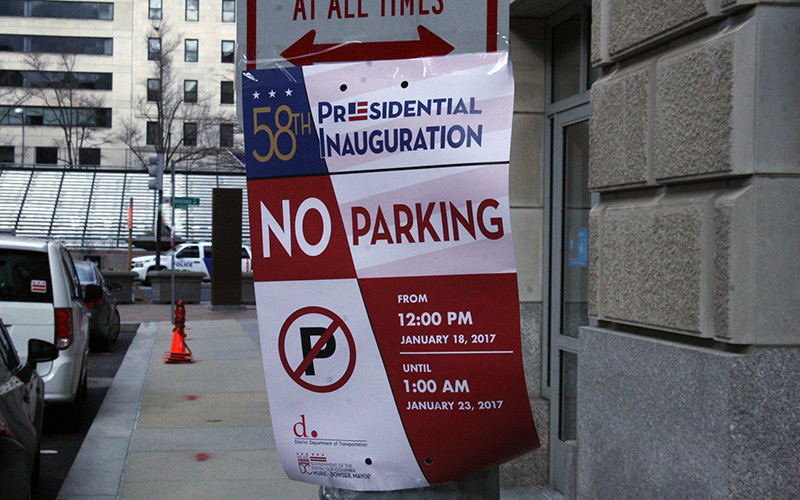 Large parts of the city will be closed to traffic for security reasons, making driving in the District all but impossible on Inauguration Day. City and inaugural officials are urging people to use the region’s public transportation system. But even there, visitors should expect to see a “chaotic” environment and, more importantly, be ready for “a lot of walking,” said Eartha Clark, a leadership council member of the D.C. Taxi Operators Association. Because of that, Clark said, there is at least one group that won’t be getting rich off the days of inaugural activities – cabbies. With all the street closures and all the regular Washingtonians leaving town, she said, their business is likely to drop. “Business is bad anyways, but this weekend is worse,” she said. 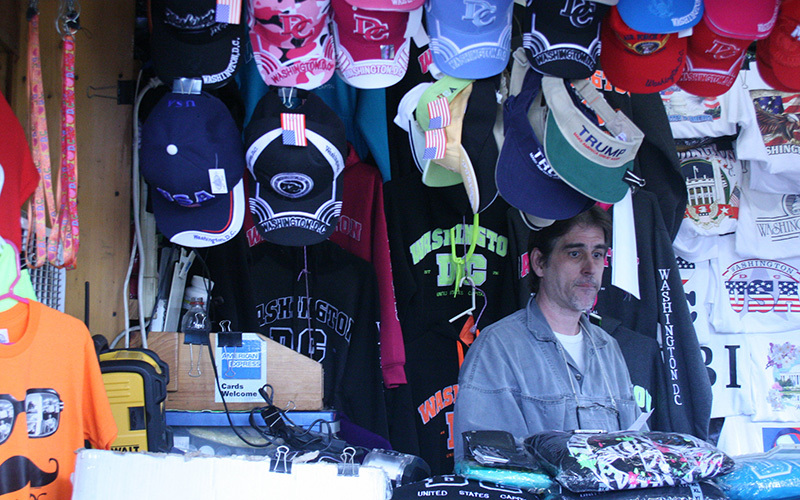 Longtime souvenir vendor Jeffrey Marshall said businesses like his face the same outlook. Marshall, who has been selling souvenirs since President Jimmy Carter’s inauguration, said he’s being forced off his spot near the National Mall on Inauguration Day, and said other vendors are also being shooed away. The restrictions will “crush small businesses” like his, said Marshall, who had already invested money getting ready for this year’s inauguration. “We’re going to lose a fortune of money and this is the first time ever,” he said.